Meet the Glowtie: a cool LED bow tie that you can slide onto the top button of any dress shirt effortlessly. 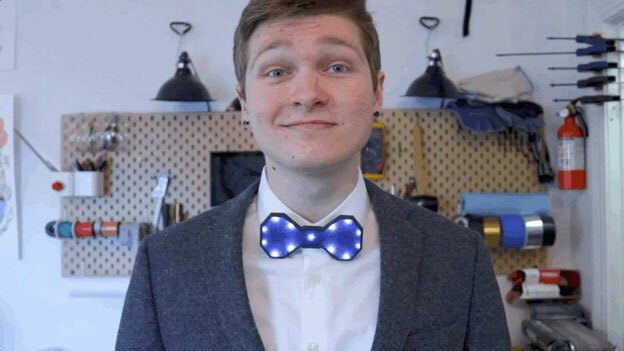 You can connect to this smart bow tie from your smartphone over WiFi and change it colors and patterns. The battery lasts up to 8 hours. The Glowtie comes with a removable fabric cover. You can recharge it via a micro USB cable.